Dietary reconstructions can offer an improved perspective on human capacities of adaptation to the environment. New methodological approaches and analytical techniques have led to a theoretical framework for understanding how human groups used and adapted to their local environment. Faunal remains provide an important potential source of dietary information and allow study of behavioural variation and its evolutionary significance. Interest in determining how hominids filled the gaps in large prey availability with small game or what role small game played in pre-Upper Palaeolithic societies is an area of active research. Some of this work has focused on tortoises because they represent an important combination of edible and non-edible resources that are easy to collect if available. The exploitation of these slow-moving animals features prominently in prey choice models because the low handling costs of these reptiles make up for their small body size. Here, we present new taphonomic data from two tortoise assemblages extracted from the lower sequence of the Middle Pleistocene site of Qesem Cave, Israel (420-300 ka), with the aim of assessing the socio-economic factors that may have led to the inclusion of this type of resource in the human diets. 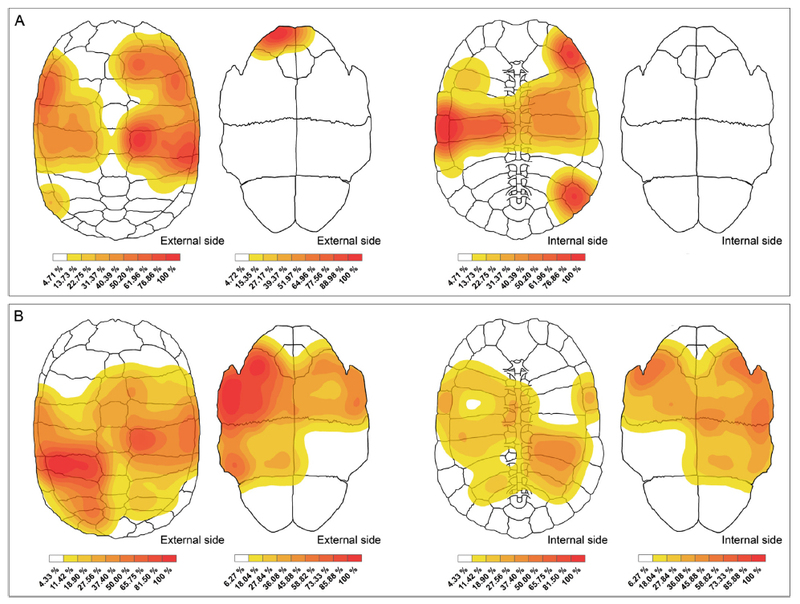 We show that hominid damage on large tortoise specimens from Qesem Cave is not unusual and that evidence such as cut marks, percussion marks and consistent patterns of burning suggests established sequences of processing, including cooking in the shell, defleshing, and direct percussion to access the visceral content. These matters make it possible not only to assess the potential role of tortoises as prey, but also to evaluate collecting behaviour in the resource acquisition systems and eco-social strategies at the Acheulo-Yabrudian Cultural Complex (AYCC) in the southern Levant.